Welcome to the April 2014, Pin It To Win It Sweepstakes! 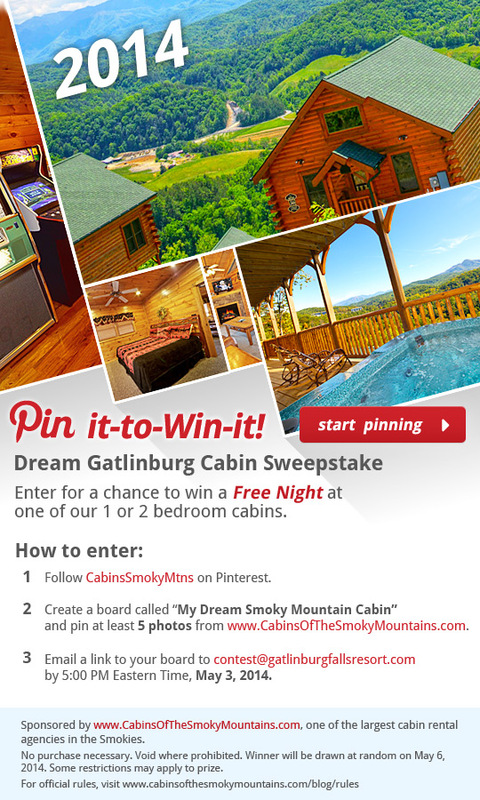 Follow us on Pinterest at CabinSmokyMtns. Create a new board in your Pinterest account called “My Dream Smoky Mountain Cabin” and pin at least 5 photos from this website (any image counts, but there are some fantastic cabins here worth pinning!). Email a link to your board to us at [email protected] by 5:00 PM Eastern Time, May 3, 2014.